11.2%. That’s the current unemployment rate for Americans with disabilities1. If any other demographic group in the U.S. had this unemployment rate, there would be outrage. But that is not the case when it comes to employing people with disabilities. 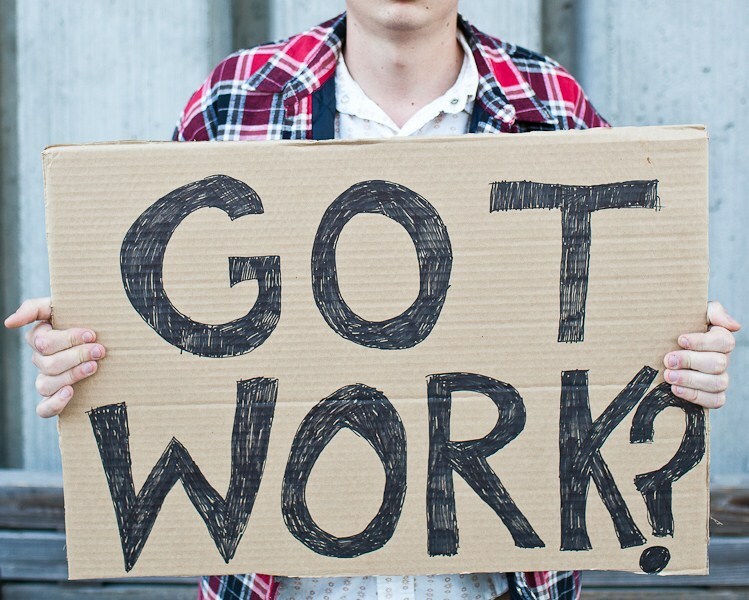 Many companies say they are equal opportunity employers but their actions around disability employment don’t indicate that they’re doing enough to chip away at this unemployment rate. Further, the numbers don’t indicate that people with disabilities are employed at the same level as the general population. Why is this the case? More than likely there are people with hidden disabilities working in your organization, however many of them haven’t disclosed their disability for fear of being treated differently or limiting their advancement. When there’s a culture of disability inclusion, people are not fearful to disclose they have a disability. How can your organization take necessary steps to ensure that people with disabilities are a factor in the diversity equation? SMG offers a few insights to help your organization create a culture of disability inclusion. Be honest: It’s imperative that companies assess what active steps they’ve taken to recruit individuals with disabilities. Does your company have an Employee Resource Group? A senior leader who champions disability inclusion? Do you provide training to HR staff and hiring managers? When your company highlights D&I are people with disabilities included? Listen: The best way to understand the experience of employees with disabilities, or those impacted by disability with a child or loved one, is to talk openly and honestly with them about their experiences at the company. Conduct internal listening groups of employees impacted by disability. This forum has to be safe for participants to freely share. This valuable input will help inform the overall recruitment plan. Plan: Creating a disability recruitment plan will provide you with a the road map for your organization to actively recruit people with disabilities. To be successful, it’s imperative to have a budget and staff to support the implementation of the recruitment plan. Additionally, input for developing the recruitment plan should come from cross-functional internal teams, with active engagement from senior leaders. Publish success: In focus groups completed by SMG, respondents indicated that one of the primary ways companies demonstrate their commitment to people with disabilities was by actively recruiting and hiring them. They also shared that robust employment efforts provided a resounding demonstration of corporate commitment, which strengthened the brand’s equity. SMG suggests that publishing disability employment success in internal communications, as well as externally, will show that the company’s walk and talk align. Now is the time to galvanize the internal teams within your organization to develop and implement an inclusive disability recruitment plan. If you’d like to learn more about how to create a culture of disability inclusion, contact the SMG Team for a 30-minute discovery call to gain further insights. To schedule, send a message to cbeaty@disability-marketing.com. So often disability organizations want to partner with corporations but they’re uncertain about how to create meaningful and substantive relationships with companies. The best they can offer is putting a logo on a program or website. That’s not enough. Ask the right questions. Ask questions to understand their business priorities, what the company is doing to place emphasis on diversity and inclusion, and how it’s building a pipeline of talent. Understand your value. Many times disability organizations are so focused on getting a program funded or a sponsor for an event, they overlook the opportunity to use assets like their mailing list, an event, or webinar series to help their corporate partners build a relationship with consumers. Use your expertise to help advance the partner’s goals. Some disability organizations have mastered training, eLearning, or social media. Be prepared to take whatever your organization has mastered, and offer it as a service that furthers business goals. If you’d like to learn more about how to build relationships with corporate partners, contact the SMG Team for a 30-minute discovery call to gain further insights. To schedule, send a message to cbeaty@disability-marketing.com. There are 70 million families in the United States and the Census Bureau indicates that a third of those are impacted by disability. That means that a little more than 20 million families have a loved one with a disability. There are more subtle shifts in these numbers as 1 in 68 children born in our country are on the Autism Spectrum. This requires infrastructure and social supports in our communities at unprecedented levels, which reinforce equity of education and opportunity. Why is this information important for businesses to know? It’s important because it can translate to sales. There are an estimated 56.7 million people with disabilities in the U.S., with an aggregate disposable income of $544 billion. Friends and family comprise 105 million people with disposable income at $3.9 trillion. Companies who employ, serve and market to people with disabilities and their families reach a large and powerful market, which is more than 2 times the size of the tween market, with more than 4 times the spending power. Families and friends witness the lives of people with disabilities and understand what they encounter daily. They often become passionate advocates and are ready to share about the value of the person they love. There is unlimited opportunity for the company looking to reach this market. Go where they are: The quickest and easiest way to find family and friends of people who have disabilities is to go where they are: school systems, disability-specific groups, blogs, and non-profit agencies. Find out what they need: By completing qualitative and/or quantitative research you will hear not only what is important to this important group of consumers, but what services would enhance and add value to their lives. Speak to them directly: Build facilities and services to support them well. Walt Disney World has built in several accessibility features into the rides, as well as the property for family members to tend to the personal needs of their loved one in a most discreet manner. Royal Caribbean Cruise Lines has provided value-added for people with mobility disabilities, and has recently been awarded the designation of Autism-Friendly Cruise Lines by the group Autism of the Seas. Tell it! When your company has made enhancements to provided services and products to people with disabilities and their families, do more than issue a press release. Advertise on disability sites, and reach out to the disability media, establish partnerships with disability organizations. And share what the latest innovation is, repeatedly. When a company successfully targets families and friends of individuals with disabilities most assuredly they will not only have a lifelong customer, but also an ambassador who will gladly share about their experiences with other families. Word of mouth has more influence that promoting products and services in ads. Receiving an endorsement from a peer, who has managed similar disability circumstances, builds a credible connection that shapes how consumers know, like or trust your company. To learn more about reaching family and friends of people who have disabilities and the money your company is leaving on the table, contact Celeste Beaty at the Solutions Marketing Group, at cbeaty@disability-marketing.com. In the spring of 2014, Shirley Connolly, writer, editor and Christian romance author, was facing the end of her twenty-year writing career. “The problems I had been having with my wrists and fingers, especially my thumbs, had begun to increase to where I was finding it difficult to work comfortably on my computer. As a published author, teacher and speaker, I was in a dilemma. My neurologist performed a conductive test which showed I had both chronic tendinitis in my fingers and debilitating thumb arthritis.” After learning of the potential impact on Connolly’s writing career, her Koinonia Community fellowship lifted her in prayer. Adding works to their faith, the group purchased Dragon NaturallySpeaking 12 Professional for Connolly. Rather than traditional keyboard stroking, Dragon 12 provides an alternative, allowing Connolly to speak her thoughts. “I’ve been using Dragon now for several months and appreciate how it quickly recognized my voice after just a couple of weeks.” Connolly uses the software for both writing and editing and has found that it functions effectively even with potentially distracting background noise. Not only did Dragon NaturallySpeaking restore Connolly’s ability to write with ease, but it also inspired new writing projects. “I was able to be a copy editor for my critique group of six writers. Editing is trickier but definitely works.” Just as exciting, Connolly has begun a blog, A Pen for Your Thoughts, which traces her triumphs over the debilitating effects of arthritis. In a separate blog, Welcome, to My Parlor, she authors devotionals and bible studies. She also found the time to work up the fourth book in her Decisions series, Not Quite an Angel, an 80,000-word book. Nuance, the maker of Dragon NaturallySpeaking and Dragon Dictate for Mac, was incorporated as Visioneer, Inc. in March 1992. Through December 1998, the company developed and sold scanner hardware and software products. On January 6, 1999, Visioneer sold the hardware business and the Visioneer brand name to Primax Electronics, Ltd.On March 2, 1999, Visioneer acquired ScanSoft, in a cash election merger, from Xerox Corporation. The corporate entity “Visioneer” survived the merger, but changed its name to “ScanSoft, Inc.” On October 18, 2005, the company changed the name to “Nuance Communications, Inc.” The Dragon line of software for speech recognition originally came to market in the late 1980’s, and has been innovated upon and brought to market over the last decade by Nuance. The company’s global headquarters is in Burlington, Massachusetts. 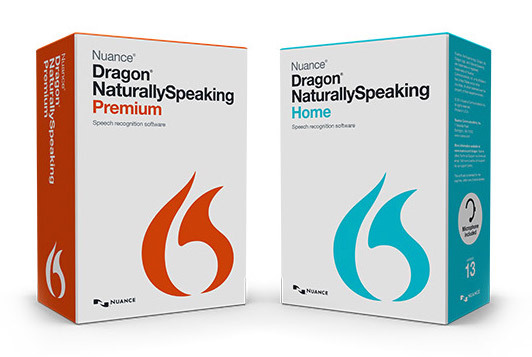 In July of 2014, Nuance released version 13 of Dragon NaturallySpeaking, just a few short months after releasing version 4 of Dragon Dictate. We spoke with Nuance’s Peter Mahoney, Chief Marketing Officer and General Manager of the Dragon business, for more information about the Dragon line of products. The following Q and A discusses the company’s commitment to creating a product that will improve everyone’s quality of life and make it possible for people with disabilities to compete effectively in the modern workplace‎. Q. For whom did Nuance design these speech software products? A. Dragon NaturallySpeaking for Windows and Dragon Dictate for Mac are designed to help anyone who uses a computer to reach their full potential by using the power of speech recognition technology to talk rather than type. Our customers include a wide range of people including business professionals, educators, and students as well as people who have difficulty using a mouse and keyboard, such as people with physical or cognitive disabilities. We have always worked closely with direct customers and with partners in the assistive technology community, and have incorporated feedback with respect to their needs into our Dragon products. Q. Do you have people with disabilities on staff? Do you work with people with disabilities to improve the product? A. We receive a lot of input from people inside the accessible technology community, including a very large and active set of customers who provide us with regular feedback on our products. We use that feedback to continually improve the usability and features across all of our user communities. Q. Do you consult with any disability organizations for product improvement? For instance, to determine ease of its use and to improve the product? A. We have a very active network of value-added resellers – many of them who are dedicated to serving people with disabilities. Those partners provide very important feedback into our product requirements. We also have a close relationship with the Easter Seals Assistive Technology Center in Boston. They have provided us with significant feedback over the years. In Dragon 13 for example, we added WAI-ARIA (Web Accessibility Initiative – Accessible Rich Internet Applications) support based on the feedback from the assistive technology community. WAI-ARIA describes how to add specific metadata to HTML content in order to make user interface controls and dynamic content more accessible. For example, with WAI-ARIA it is possible to identify a list of links as a navigation menu and to state whether it is expanded or collapsed. Q. What feedback have you received about the utility of your product for people with disabilities? People with visual disabilities? People with dexterity disabilities? A. For people with physical upper limb disabilities related to injury, RSI, arthritis, etc., that make it difficult or impossible to type, the feedback has been overwhelmingly positive, as it has enabled this group of people to either return to work quickly after an injury, or be more productive on their computers on a daily basis. Similarly, for people with learning disabilities, dyslexia, or specific autism spectrum disorders that make it difficult for them to type what they want to write or spell, they are able to verbalize what they would like to write. For people with visual disabilities, Dragon can help with text-to-speech capabilities, by having portions of text read back to them. Also, Dragon has transcription capabilities that can allow someone to record their voice electronically and have their speech converted into a document at a later time. There is a wide range of visual disabilities, and there are assistive tools in the market specifically designed to enable people who are blind or otherwise visually impaired. We recommend that anyone with visual disabilities evaluate what their requirements might be and consider what solution is the best for them. Dragon is a life-changing product for accessibility. Dragon gives people back the ability to write and be productive in their jobs, stay connected with friends and family, or simply have access to a creative outlet for writing thoughts, poems, or stories. The stories we receive from our Dragon community on how Dragon has positively impacted their lives are uplifting. Here is one recently posted reflection written by Travis Roy, a former Boston University hockey player whose life was changed forever in the first 11 seconds of his first college hockey game. Q. Did you identify a key disability market to focus on when developing the product? A. Dragon has been a very successful product for many types of accessibility challenges, particularly people with physical upper limb/hand disabilities related to typing and using the computer mouse, such as arthritis or repetitive stress injuries like carpal tunnel. Customers are able to use their voice to entirely replace or minimize keystrokes or movements using their keyboard and mouse. Dragon has also been an incredibly powerful tool for people with learning disabilities or dyslexia where writing, spelling and typing can be frustrating or difficult. With Dragon, you do not have to worry about the mechanics of typing and spelling that can slow you down as it allows you to communicate what you are thinking. Words that appear on the screen when you talk are typed out and automatically spelled correctly so these users can focus completely on getting their thoughts out. Q. What accessories does a person need to use the software? A. As part of the newly developed software, Dragon NaturallySpeaking 13 requires fewer, if any accessories for efficient use. Dragon NaturallySpeaking 13 must be paired with a compatible Windows computer and can work with the built-in microphone available in many of the latest Windows laptops and tablets. The boxed versions of Dragon NaturallySpeaking 13 and Dragon Dictate for Mac, version 4 also include a noise-cancelling USB headset microphone. Alternate options include using a smartphone as a wireless microphone, or using a Bluetooth wireless microphone. Additional microphones are available for purchase from our website or from authorized partners. The transcription feature is also compatible with an auxiliary digital voice recorder — bundled with the Dragon Dictate for Mac, version 4, Mobile edition or Dragon NaturallySpeaking 13 Premium Mobile edition — which is available for purchase. You can alternately use other digital recording devices — such as a recording app — that can be used with many iOS or Android mobile phones. View a list of Nuance-approved headsets and digital voice recorders. Q. Can you compare the different editions of the product now available? A. Dragon Dictate 4 is our product for Mac users. Dragon NaturallySpeaking 13 for the PC offers several editions including Home and Premium for the consumer and Professional and Legal for the enterprise or legal industry. Professional and Legal editions for example, have features that make it easy to deploy, maintain and share configurations among multiple Dragon users in the corporate environment. Learn more about Dragon versions and features. Q.What is the price range for the product? A. The Dragon NaturallySpeaking 13 product family has a range of options at different price points for both consumers and business professionals – find out which edition is best for you. Please visit http://shop.nuance.com for our Nuance store for various edition and pricing options. (Note: Prices range from under $100 for home versions to $800 for sophisticated versions designed for professionals, including lawyers. Q. How long does it take to train the program to understand your voice? A. With Dragon NaturallySpeaking 13, there is no training required, just a quick microphone check. With Dragon Dictate 4 for Mac, the user will need to read a short passage in order to train the program after product installation. Both products can be up to 99% accurate without further training. With both products the user has the option at a later time to enhance accuracy by doing additional training, have Dragon learn words from documents, or add specific words or phrases to word lists that you use. Dragon not only delivers high speech recognition accuracy right out of the gate, but it gets smarter as it learns the words and phrases that you use the most, spelling even difficult words and proper names correctly. If you have other questions you can consult the website for further training and support. Q. What training and product support do you offer to regular customers? A. There are readily available support resources available at the Dragon support page, including feature videos, feature documents, quick start guides, cheat sheets, user guides and workbooks. There are also technical support articles and a searchable knowledge base. Furthermore, Dragon user support forums can be found on popular social media sites that connect the Dragon community. We also have customer and technical support available via phone or through our customer portal. We offer an option to purchase an introductory training video as a DVD or online through our Nuance Training portal. Finally, within the Dragon products themselves, customers are offered an interactive tutorial upon installation of the product. At any time, they can pull up a specific Help topic or have a sidebar or “Learning Center” available on the desktop screen. This extension dynamically changes and offers command choices depending upon the application that the customer is using. Our goal is to have Dragon up and running quickly so that it can provide immediate service, right out of the box. Q. What do you think the future of the product will be? A. Nuance believes that speech — as a key mode of input — is the future of desktop and mobile devices. Nuance continues to enhance the accuracy and speed of our products, leveraging state-of-the-art and proven speech recognition technology. Our software also includes enhanced features that offer the convenience and flexibility of voice recognition technology to our customers. Nuance has become the gold standard for powering voice recognition and natural language interactions. We have voice technology in consumer devices such as smartphones, book readers, navigation systems, televisions, automobiles and desktop computers. We power accessible voice programs in enterprises such as IVR (Interactive Voice Response) systems. Nuance products are helpful for everyday interactions including customer service assistance or collecting corporate directory information. These services extend into specific industries, including the healthcare, legal, and financial domains.